As an agent or broker who works with high-net-worth clientele, chances are your clients are part of the nearly 20 percent of shoppers who purchased jewelry for a loved one this Valentine’s Day. However, with fine jewelry appreciating in value, coupled with various jewelry-related insurance nuances, your clients’ purchases could expose them to a wide range of new (and potentially costly) risks. Here are four things you can do to help protect your clients’ Valentine’s Day jewelry purchases. Although the retail price paid for a piece of jewelry can serve as a general barometer of its value, it’s important to advise clients to immediately get an independent appraisal of their new purchase. Consider this example: A jeweler acquired a gemstone several years ago, and subsequently stored the stone in its vault for many years, a common scenario. When selling to one of your clients this Valentine’s Day, the jeweler likely priced that same stone for sale based on the original price it paid the jewelry wholesaler. As diamonds and gemstones have increased in value over the past few years, it’s possible that the client’s Valentine’s Day purchase is worth much more than they paid. Advising a client to get an independent appraisal is a critical step to ensuring that your client has the right level of protection in place to safeguard the purchase. Simply relying on the sale price as an indicator of value might not be enough. Related: What's a Keith Haring limited-edition coloring book worth? For those clients who received jewelry as a present, they will likely, and understandably, want to wear their Valentine’s Day gifts immediately upon receipt. New pieces are typically ready to go; however, clients who receive antique jewelry should carefully inspect a piece before wearing it. For necklaces, bracelets and watches, ensure that the clasp is in working order and that the item remains secure. It seems obvious, but suggesting to clients that they take a few extra seconds to twist and turn their wrist or neck back and forth to verify the piece remains clasped before wearing it out can save a lot of heartache in the long run. Alternatively, if a client has received a ring that’s too large, advise against home-made or make-shift size adjusters that can easily break. Taking a ring to a jeweler to be correctly sized might mean a few extra days before your client can wear the new gift, but sizing will ensure it remains on their hand for years to come. 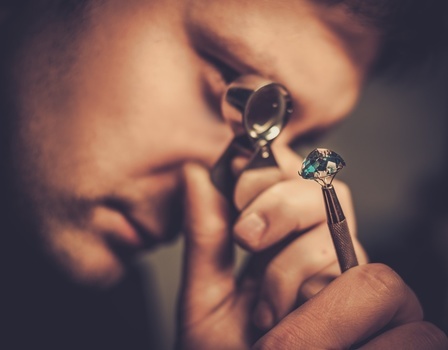 If, after inspecting their piece, your client notices that their gift needs to be repaired, advise that they take it back to the retailer where it was purchased or to a specialized jeweler. When transporting the piece, however, suggest to clients that they carry it in a non-branded bag. Carrying an iconic Tiffany blue or Cartier red bag into the store can make your client a target to thieves who might be watching nearby. 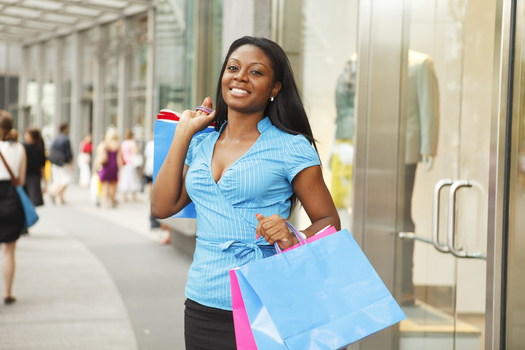 Instead, when bringing their item to the store and when picking it back up, suggest that they carry their purchase inside a purse or in a nondescript shopping bag. It’s not the most glamourous way to carry fine jewelry, but it can go a long way in diverting unwanted attention. Additionally, if a client lives in an urban environment, suggest they skip mass transit and take their own car or taxi both ways, travelling directly between their home and retailer or jeweler. Now that you have your client’s attention in helping them protect their Valentine’s Day purchase, take the opportunity to discuss their broader 2017 spending priorities. Are they looking to make additional big-ticket jewelry purchases? What about fine art? Perhaps they’re thinking about starting or growing another valuable articles collection, including wine or sports memorabilia. 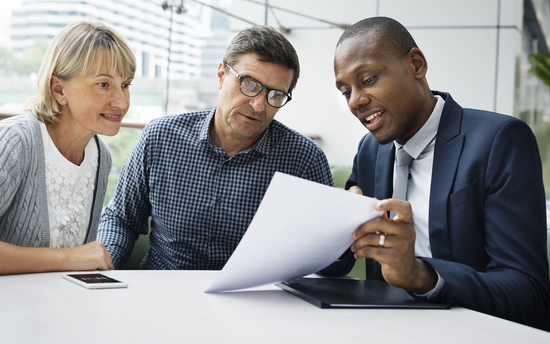 Regardless of the specific items, having a yearly conversation, at minimum, with your clients about their upcoming spending priorities and existing insurance policies can help ensure they have sufficient protection in place. While it is important to review what their current insurance policies cover, it’s also important to go over what they don’t. Matching these gaps against a client’s upcoming spending priorities helps you know you’re able to proactively fill any holes with the right coverage, ensuring your client is fully protected from the very beginning.